Bentley je značka s bohatou historii, která je ale zároveň inovativní a myslící dopředu. Jedná se o společnost, která ve stejném roce vytvořila vítěze Le Mans a státní limuzínu. Jejich vozy s rychlostí 320 km/h jsou vybaveny interiérem z ručně šité a vysoce leštěné kůže, dýh z 80 let starých stromů, stejně jako nejmodernější automobilovou technologií. Pro Bentley neexistuje žádný rozpor mezi nejvyšším luxusem a naprostým nadšením. A luxurious trip into the impressive world of Bentley Car connoisseurs will get to read the stories of these beautiful vehicles’ origins as well A revised edition of the original much-loved Bentley – The Book, with the latest updates on the Bentley product portfolio and Bentley racing teams In the first edition of the extremely successful Bentley book, teNeues introduced the world to the brand and its rich history. Bentley, whose very name embodies elegance, speed, and luxury, has earned an encore. 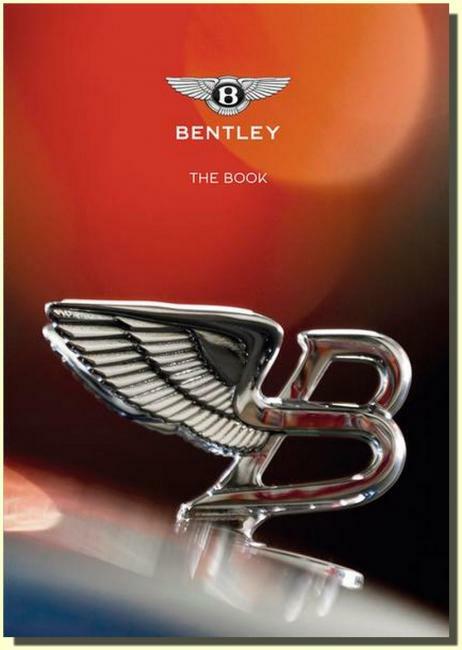 The second revised edition adds an in-depth look at newly developed models such as the Bentayga and the EXP 10 Speed 6 concept car. While the Bentley Bentayga redefines the SUV and lets drivers “see the world with new eyes,” the sporty EXP 10 Speed 6 is a two-seater on steroids: this model reaches the pinnacle of luxury and high-end performance, where supreme craftsmanship meets the latest technology and the finest materials. At last year s Los Angeles Auto Show, Bentley showed the world what a convertible is capable of with its Grand Convertible. Bentley has also added several new chapters to its racing history with GT3 successes in Europe and America. So you can see that there are plenty of new Bentley stories to report. In this volume, you will get a grand tour of the past, present, and future of a truly unique automobile brand.